Posted on June 18, 2017 at 9:11 am. Many households face drain clogs due to carelessness or the use of harmful materials. They either avoid repair of drain pipes or pour chemicals that affect the pipes. It happens mainly because of the misconceptions prevailing amongst people. Before using DIY method or hiring a professional plumbing service, it is recommended to understand facts. These facts can help you keep your drainage system running and avoid practices that can lead to issues. A plumbing service in Chattanooga can help you deal with drain clogging. People oftentimes hire a plumbing service in Chattanooga without checking experience and expertise. However, you must ensure that they can efficiently deal with plumbing problems before acquiring their services. Plumbers with low rates are often given preference however, extremely low rates may lead to low quality service. They may not be able to carry out the tasks with professionalism and can harm the plumbing system. Therefore, always check the license and insurance of plumbers whether they are working for a company or as an independent worker. A plunger is believed to clear out all types of clogs. However, its efficacy depends upon the root cause of the issue. A plunger can clear minor issues and remove particles from drain pipes, but it is not much effective for issues such as fat deposits and clogging due to tree roots. It is a recommended practice to analyze the problem first, and then take necessary steps. A plumbing service in Chattanooga can resolve the problem through hydrojetting or other useful techniques. It is another myth that a plumbing system is working properly as long as water can pass through it. No doubt, completely stopped drains are clogged, but there are also other signs that point out the blocking of sewerage pipes. Slow draining is a major issue that should be resolved at the earliest to avoid complete blockage of pipes. Moreover, a gurgling sound also indicates that the main line is not working properly. Smelly plumbing systems are often treated with lemon peels to clear odour. No doubt, lemon peels make them smell fresh but the consequences are even more severe. They block the path of water and garbage and cause a clog in pipes. It is not a recommended choice to use them for odour removal. Instead, you can rely on other convenient methods. You can use ice cubes and eggshells to add a fresh smell. Moreover, vinegar is another suitable solution to overcome irritating smell. Leaky faucets are often left untreated for long. However, it is essential to repair it even if the faucet has a leakage rate of few drops per minute. You can check the connection of pipes or replace faucets. Not only will this help you decrease your monthly water bill, but you can also avoid water pipe issues during winter. Water pipes can burst if water is left in pipes overnight, as it gets frozen. Leaky faucets cause water to get trapped in pipes which in turn expands and causes the faucet to burst. It is a common misconception that small creatures cannot enter your house premises through a plumbing system. 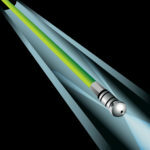 However, rats, frogs and snakes can easily make their way through these pipes and enter your house. They can appear out of your toilet as they can easily swim through the pipes. You can hire a plumbing service in Chattanooga to install an efficient plumbing system that completely blocks the path for such creatures. People often throw anything down the drain pipes assuming that water can clear everything away. However, not everything is suitable for garbage disposal as it cannot soften with water. Avoid throwing eggshells, banana peels, grease and other similar materials in pipes if you wish to keep your plumbing system running. You can throw soft items by keeping 1:4 ratio of garbage to water. However, you can hire a plumbing service in Chattanooga if any problem appears. Plumbing Systems are often left carelessly until a severe problem appears. This issue can be dealt with through regular inspection and maintenance. It is possible to cut down on sewerage system costs through maintenance. A plumbing service in Chattanooga will keep an eye on your plumbing system and ensure that all components are intact and continue with the task of draining. Maintenance services can guide you on timely replacement of components to avoid major problems. A majority of flushable wipes come with a tagline claiming that they can be thrown down the drain pipes. However, not every marketing tactic can be believed. Although you can throw them with water, but they cannot dissolve in water unlike toilet papers and can lead to create a clog of drain pipes. In order to keep your plumbing system safe against damages, it is recommended to throw them in garbage bin instead of flushing them down the sewerage pipes. People often keep ice cubes in garbage disposal pipes in an attempt to sharpen the blades. However, the ice cubes are not much effective. You can replace them with eggshells that can clear out any smell along with sharpening of blades. 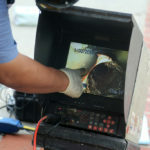 They prove to be much more effective and ensure that no blockage appears in garbage disposal system. Toilet tablets are frequently used by many people to keep their toilets clean and fresh. However, this practice affects the structure of plumbing system. They can greatly affect the system within six months. You can pour them down for cleaning purpose, but do not let bleach stay in toilet bowl for long. Flush it after no more than 10 minutes. 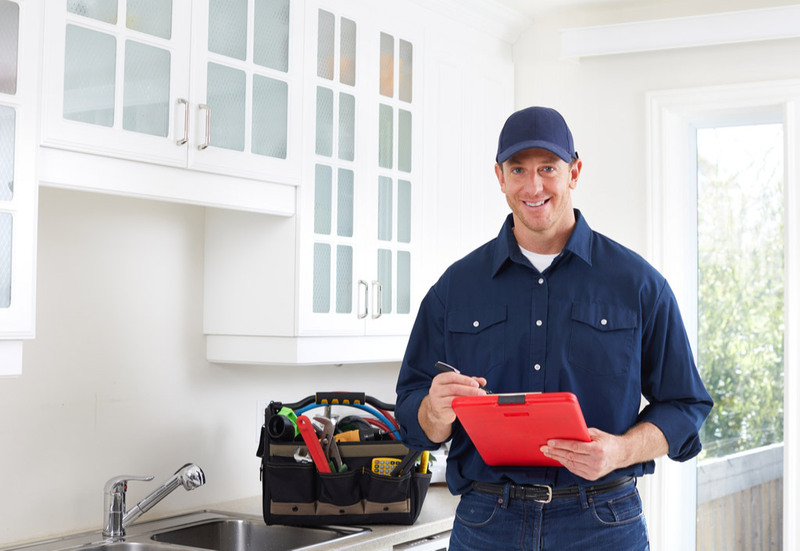 You can hire the services of a plumbing service in Chattanooga for better results. Metro Plumbing, Heating & Air is a reliable name in Chattanooga that can resolve your plumbing issues in a professional manner. Contact them to get a free estimate of plumbing system repairs.